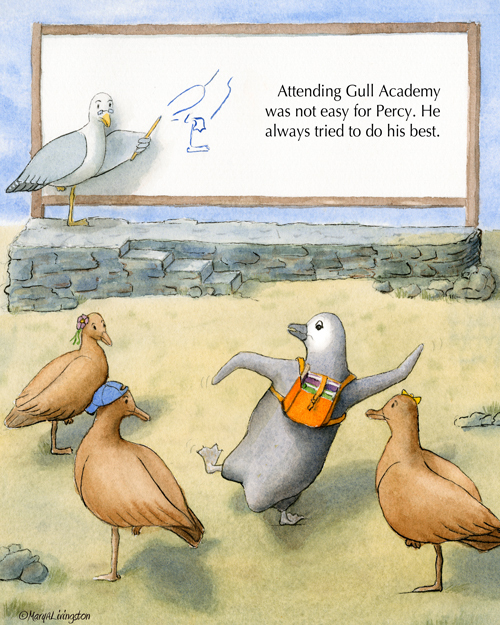 This entry was posted in Awards, Illustrations, Picture Books, Watercolor and tagged Children’s Book Award, Gelett Burgess, Mary A Livingston, penguin, Percy Learns to Fly, seagull by MaryALivingston. Bookmark the permalink. Very cute. I’ll check out the website to see if Percy is the proper age group for my grandson. Congratulations! The book looks beautiful. Congratulations, Mary. So that’s where you’ve been. I was wondering. I thought the Ugly Bird book was your first book. Ugly Birds finished 2 weeks after this one…I guess you could say my brushes were double dipping! Congratulations, Mary! What an honor! Thanks…I feel so honored to be a part of Percy’s journey. Bravo! Congratulations Mary. That Percy is such a cute little fella and I know Taylor will like this one too! I am so happy for you Mary. This book just looks wonderful. And to include the teacher and parent extra resources, that’s invaluable in itself. Can hardly wait to read the whole book. Congratulations again. Keep up the great work. Cause for celebration indeed Mary ! 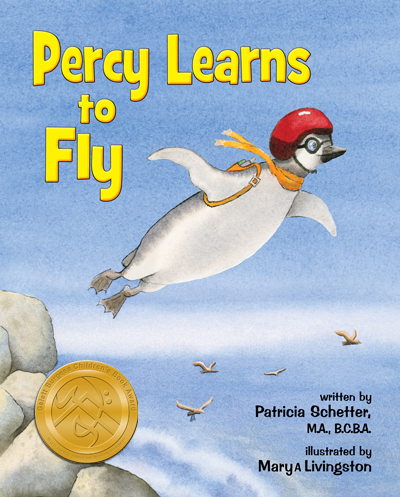 ‘Percy Learns to Fly ‘ looks a really lovely book all round . Mary – many congratulations!!! So excited to hear! Yay! For you and Percy!!! Well deserved!! Wonderful Mary! That is such great news!! This is such great news!! Congratulations! Oh, I just saw you announcing this on a children’s book facebook group page and I didn’t realize it was you! Well, congratulations!